2018 – The Biggest Year Yet For Children Of Alcoholics. – Being a COA is a thing! 2017 was such a huge year of awareness for COA’s. The effort from everyone involved just to try and get awareness out there is massive and makes me appreciate what it has taken to keep Nacoa going for the past 27 years, reliant completely on volunteers and donations alone! 2017’s COA week was huge and saw the launch of the first ever manifesto for children of alcoholics. Liam Byrne MP coming through with his promise to seek real change for children of alcoholics. Liam was able to recognise that often the real experts are the COA’s themselves and so the manifesto really took into account our views and in doing so gave us a voice. From that, COA’s began to feel they would be heard and so began to talk, with the likes of Jonathan Ashworth speaking publicly about how his life was affected with his dad’s drinking. Stigma being broken, loneliness being expelled. Liam Byrne had previously called this ‘Britain’s dirty secret‘ but unlike other years, COA’s struggles kept popping up in the media as people recognised that they too, had been affected by a parents drinking. Alcohol awareness week’s focus was the affect on the family and COA’s were talking… but more importantly being heard! The year finished on a high as it is understood that some funding would be made available to help fund proper support for children of alcoholics. After some bad news for me on a personal level around a possible new career, I have found another gear in my passion for changing the way we think about how children are affected by alcoholism. 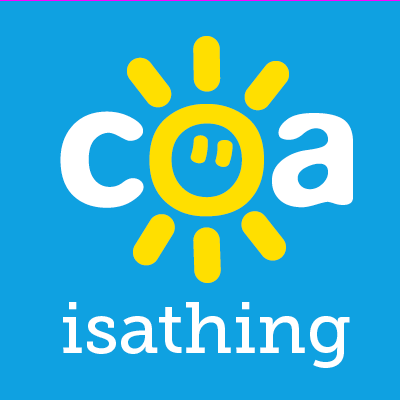 As of today, coaisathing has a new Facebook page , I will be upping the social media content all round, more videos, more blog posts, and the new Facebook page will be like the coaisathing twitter page, bringing smaller daily ramblings of life as a COA. So it would be great if you could like and follow the page to start getting it out there. Coaweek is now less than a month away and will start on the 12th February, so let’s make this one even bigger than last year. Also on the 3rd of February I will be speaking at ‘The Lowestoft Conference – Mental Health in 2018- PTSD, trauma, & suicide.’ And I’m really looking forward to what promises to be a massive event. 2017 was huge, 2018 will be even bigger. I remember when I first started this blog saying that helping just 1 person, in the case of COA’s, wasn’t enough. I stand by that, we have done an enormous amount. But we can do more. 2018 – LETS DO THIS!!! Previous Post I Have Hope And Dreams Of A Future. Next Post A Lifetime Of Loneliness. Its currently been suspended for some reason I hope to have it back running by tomorrow! Leila the Facebook page is finally up and running!